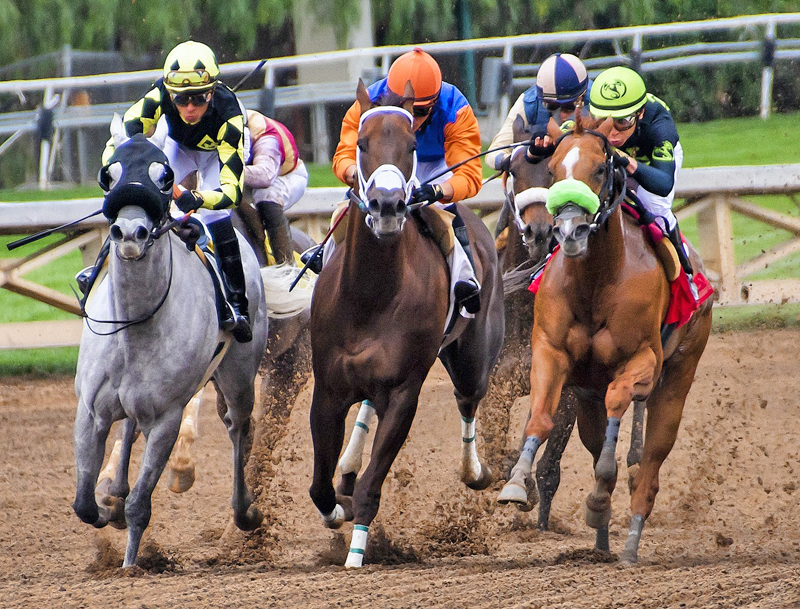 Insiders respond to new safety measures that are being implemented in the California Thoroughbred industry, including a total ban on Lasix. 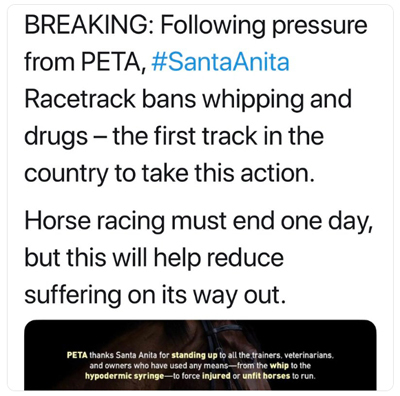 In response to the 22 horses that died at Santa Anita Park since the track’s meet began December 26th, Belinda Stronach, Chairman and President of The Stronach Group which owns the track, announced groundbreaking new safety measures, including a total ban on Lasix. After discussions with the Thoroughbred Owners of California, the parties have agreed to instead phase out the drug beginning next year with two-year-olds. A similar proposal was launched by a group of prominent trainers back in 2014. The group included D. Wayne Lukas, Bill Mott, Todd Pletcher, Roger Attfield and 22 others who released a statement in support of a similar phase out of Lasix, but the initiative was ultimately not supported by the industry. Congratulations to The Stronach Group for doing something about a subject that many of us have been talking about for a very long time. Hopefully all other jurisdictions will come on board to enable our industry to gain the respect that it deserves. I believe that the horse and the sport much loved by all connected will again be embraced and loved by many. We must have uniformity and integrity. This is why l joined WHOA (Water Hay Oats Alliance) many years ago. Conversely, Mark Casse, a leading trainer at Woodbine and in North America, has always maintained Lasix is necessary. When Lasix was banned at the Breeders’ Cup for 2-year-old races in 2012, Casse was against the move. “When [a stable of our size] has a horse who is a bad bleeder, it would hurt not to have Lasix. But to some stable that has 10 horses, it could be devastating. Another successful US trainer, Graham Motion, also a member of WHOA wrote a letter calling for uniform rules across North America. This has been a strange week. What started as enthusiasm when I heard that California was considering taking a more aggressive approach against medication ended with a chaotic situation where nobody really knew what was going on. While I admire the efforts to limit medicating race horses in California, the way it is being handled is quite disturbing, including investigations by the state attorney’s office into the trainers who had horses fatally injured on the track. The affiliation with PETA, an organization who have clearly stated that their ultimate goal is to eliminate horse racing, is equally as troubling. California’s problems are our problems and we all should be extremely concerned. We constantly hurt ourselves as an industry not being well represented by a group spokesperson or, even better, a governing body who can guide us through these difficult situations and bring some kind of national stability to our industry. While it is admirable that we are running for fantastic purses in most jurisdictions, little has changed with regards to the monitoring of horses that are entered to race and the veterinarians who are treating horses throughout the day. The sensitivity of the testing procedures continues to improve, a good thing, but not enough is done to improve the environment where our samples are handled and the stables that we ship our horses into on race day are often in less than desirable condition and by no means a sterile environment. Hopefully this will also be addressed by the powers that be in California and in turn give other jurisdictions an example to follow. If we want to defend ourselves against the critics and justify our sport, we need to shape up and not turn a blind eye to today’s problems because the reins are slipping through our hands. Recent events @ Santa Anita and the arguments surrounding Lasix/raceday meds makes me sick with worry about the industry. Have we not argued about this enough? Can we not come together and make positive change? For the love of horses, can someone please tell me who is in charge? Increasing the ban on legal therapeutic NSAIDS, joint injections, shockwave therapy, and anabolic steroids. Complete transparency of all veterinary records. Increasing the time required for horses to be on-site prior to a race. A substantial investment by The Stronach Group in diagnostic equipment to aid in the early detection of pre-existing conditions. Horses in training are only allowed therapeutic medication with a qualified veterinary diagnosis.